American Board of Plastic Surgeons certified Plastic Surgeon, Dr. Shelby Eich has built a plastic surgery practice that combines his expertise as a plastic surgeon with honesty and integrity. Dr. Eich’s Plastic Surgeon consultations are two sided conversations where anticipated plastic surgery results, safety and cost are all discussed frankly. Serving the patient’s best interests is his ultimate goal with his plastic surgery practice. Although he has full privileges at St. Vincent’s East Hospital in Birmingham, Alabama, the majority of Dr. Eich’s procedures are performed in his private, state-of-the-art, accredited surgical facility. Our plastic surgery patients are cared for in an inviting, friendly atmosphere. All our patients, but especially the ones from areas outside Birmingham, such as the Tuscaloosa and Gadsden areas, are welcome to spend the night comfortably in a recovery suite. As a Practicing Plastic Surgeon since 1999, Dr. Eich offers a wide range of cosmetic surgical procedures to his patients in Birmingham and other Alabama Areas. No matter what outcome you seek from plastic surgery, Dr. Eich has the care and expertise as a plastic surgeon to guide you toward the best final results. If facial surgery is something you’ve been thinking about, Dr. Eich performs facelifts, rhinoplasties and eye lifts (blepharoplasties) with great attention to detail in an effort to get you the best result possible from your cosmetic surgery. Dr. Eich also provides nonsurgical laser treatments for brown "age spots" and red spots such as cherry angiomas (red moles) and spider veins on the face. Dr. Eich’s practice offers a wide range of breast procedures, including breast augmentation with either silicone or saline implants, breast lift, breast reduction and breast reconstruction. It’s his goal that your breasts are an enhancement of your femininity and fit your body size and shape for the most attractive result. For women who have had children and wish to return to their pre-baby body, Dr. Eich’s Mommy Makeover and Tummy Tucks can do wonders to restore both your confidence and your former profile! A Mommy Makeover addresses problems such as sagging breasts that have lost volume and the sagging fatty tissue and skin left on your abdominal area. The procedures can help make your clothes fit like new again! If you have lost a great deal of weight and find that the after-effects of weight loss are sagging skin, talk to Dr. Eich and his friendly staff about an abdominoplasty or panniculectomy , post-weight-loss body contouring and Liposuction. Dr. Eich can effectively treat all areas of post-weight-loss sagging skin, such as the face and neck, under the arms, the abdomen, the thighs and the buttocks. 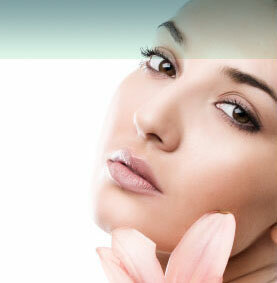 Non surgical treatments such as chemical peels, dermabrasion, lasers, Botox® and Juvéderm™ are also available. If you have been thinking about speaking to a plastic surgeon, then call Dr. Eich. Call us today to schedule your consultation to discuss any of the plastic surgery procedures listed above. You’ll find us to be friendly, caring and skilled in helping you achieve your most beautiful plastic surgery results.